Chrome OS laptops by manufacturers other than Samsung and Acer will arrive later this year, according to Google's Linus Upson. Upson, vice president of engineering at Google, declared to TechRadar that the internet giant now has the capacity to take on other OEMs, after limiting its partnerships to Samsung and Acer in the past. "We've worked very closely with Samsung and Acer – they've been fantastic partners and really share our vision of making computing fundamentally better," said Upson. "But we're now at the point where we have the bandwidth to take on more partners. "So you are going to see a handful of additional OEMs bringing Chrome OS machines to market later this year." 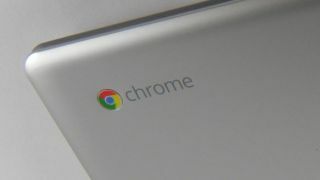 Although Upson was not prepared to share actual names of manufacturers, there are some obvious candidates among the traditional big computer makers that have not been involved in Chrome OS. Dell and HP are US options, although they may not be prepared to take a risk as they negotiate the tricky computer market, but then likes of up-and-coming Chinese company Lenovo and Asus could well be interested. "We're now at the point where we have the bandwidth to take on more partners." Toshiba and Sony are also big names in laptops as well as the cheaper white-label manufacturers who sell to stores across the world under a multitude of brands.